RIDGEFIELD — Ninjas are known for being silent, stealthily moving through the night dressed entirely in black. But would you expect to find a ninja in the library? Probably not, but there are plenty of ninjas at Union Ridge Elementary School in Ridgefield. One wall of the library has photos of students sporting black headbands and big smiles. They are the Union Ridge library ninjas. Librarian Jubilee Roth created the library ninja program to encourage good library behavior. “They follow all library routines in a sneaky, stealthy, leave-no-trace book shopping way,” she explained. The program has been a great success. Roth is pleased with how well the students are following the library rules, hoping to achieve ninja status. 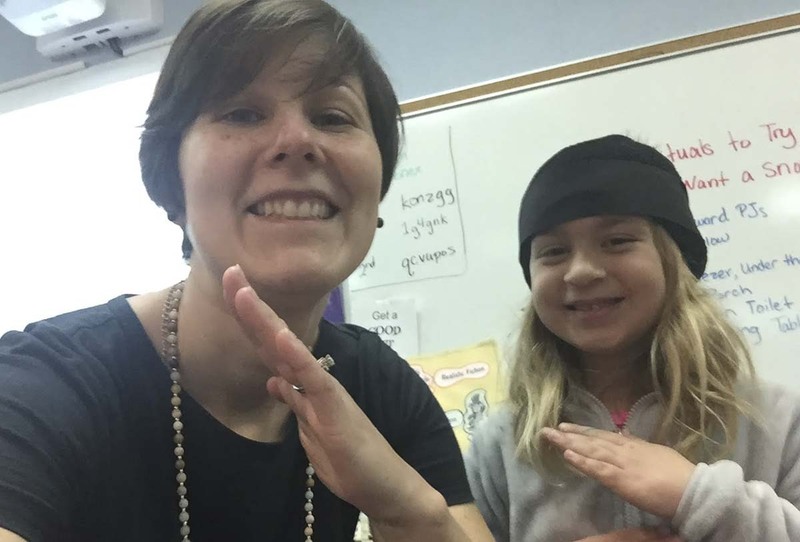 “The kids ask every library class if there are new ninjas and are so excited when they earn a headband,” Roth said. So when you see a kid wearing a black headband, you might be talking to a Master Ninja Librarian.